The Clean Advantage® program automatically offsets carbon dioxide and other greenhouse gas emissions by investing in a wide range of reforestation, alternative energy, biomass, and other projects both locally and globally that are subject to change as usage, price, and other factors vary throughout the year. In addition to these projects, we work with The Arbor Day Foundation to plants trees and support their certified CO2 reduction projects. Together these investments and partners allow us to automatically provide a sustainable solution for your company, employees, and community. This project has 101, 1.5 MW turbines and has a generating capacity of 151.5 MW of wind energy. 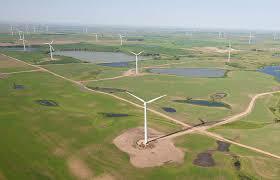 Power from this wind project south of Minot, ND flows to customers and provides benefits to rural communities. The estimated annual emission reductions for this project is 308,580 tCO2e. Ball State University created the nation’s largest ground-source, closed-loop geothermal energy system, reducing their carbon footprint nearly in half and has allowed the school to move its target carbon neutrality date forward from 2050 to 2030. The system provides $2 million in annual savings to the school. Additionally, the geothermal system serves as research material and classroom curriculum for hundreds of faculty and students. This project, located in Castleberry, AL involves aerobic decomposition of chicken manure and green waste (wood shavings) through composting. The waste is purchased from local companies and received at the composting facility as raw material to produce a high potency organic compost that is pathogen free and odourless. The compost produced is sold to local farmers as a soil enricher for agricultural activities. The Landfill is located in the Unincorporated Township of Success, N.H. and consists of approximately 67 acres of developed landfill with an additional 43 acres which is undeveloped. The Landfill is projected to be operational through the year 2048 at the maximum fill rate per year (305,500 cubic yards per year). The site is approximately two miles east of Berlin, N.H. 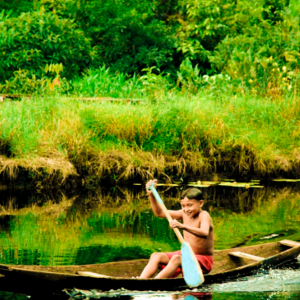 This project, in the Eastern Amazon region of Brazil, will prevent 4,253.14ha of deforestation and is projected to reduce 30,024 tCO2e emissions by the end of 2018 and 1,432,278 tCO2e over the 30-year project lifespan. Residents of the project area strongly depend on natural resources. To contribute to their sustainable development, the project provides courses in how to make a living without extracting native wood. 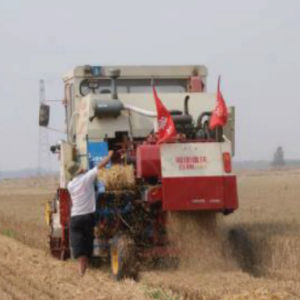 The program is based on the change of soil cultivation methods from conventional tillage still in use to conservation tillage methods, which causes less soil disturbance and emissions than conventional forms of tillage. This includes forms of reduced impact tillage systems, where part of plant residues shall remain after harvest on the soil surface to protect soil and conserve moisture. The program also aims to reduce the use of N fertilizer and other chemicals substituting them partially by organic materials: bacterial and algal fertilizers. The used complex algal leaf fertilizer may replace 50 kg N active substance, which intervention significantly improves the stability of the ecosystems. 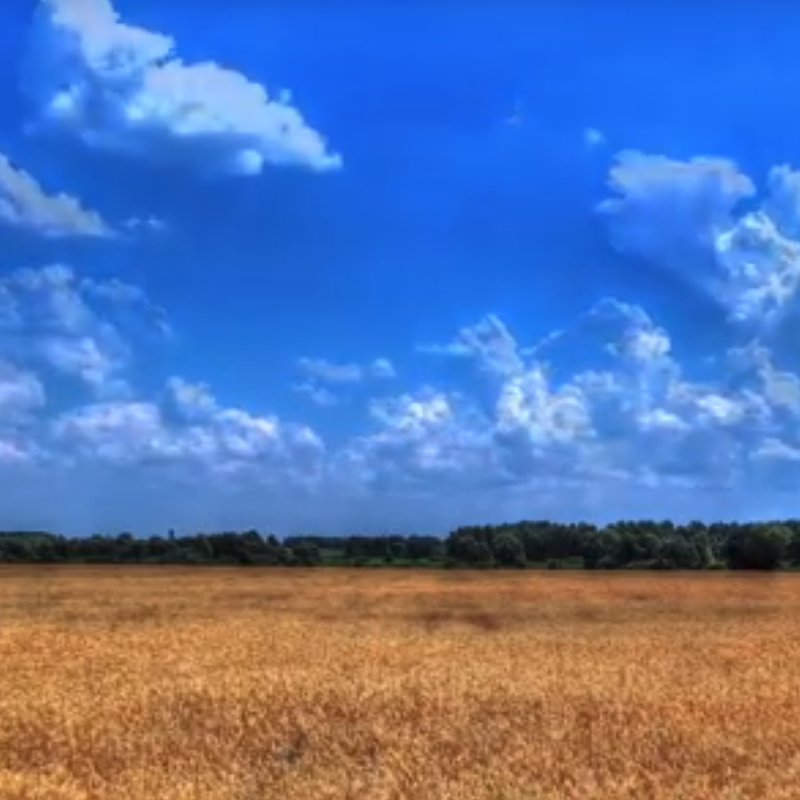 This Arbor Day Foundation project is working to transform the site of a former coal mine, located in Germany’s Leipzig Administrative District, to forested land. In 2016, 9.9 acres of land were replanted with 10,000 trees. These trees will help develop the barren land for climate protection, flood prevention, natural beauty, recreation, and watershed protection. Zabčice is situated between Židlochovice and Hrušovany near Brno – in the southernmost part of the Moravian region. 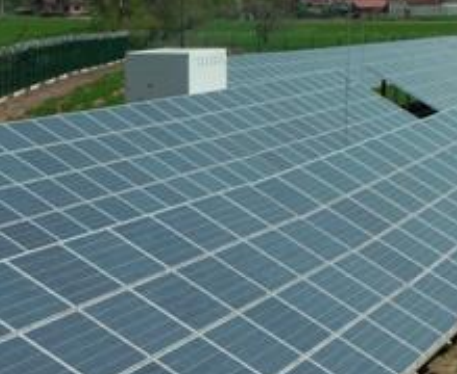 It is a location with the best conditions for the production of electricity from solar radiation in the Czech Republic. The average annual total global radiation exceeds 4 thousand MJ/m2 it also has the highest number of days of sunlight. The power plant has an installed output of 5.6 MW. 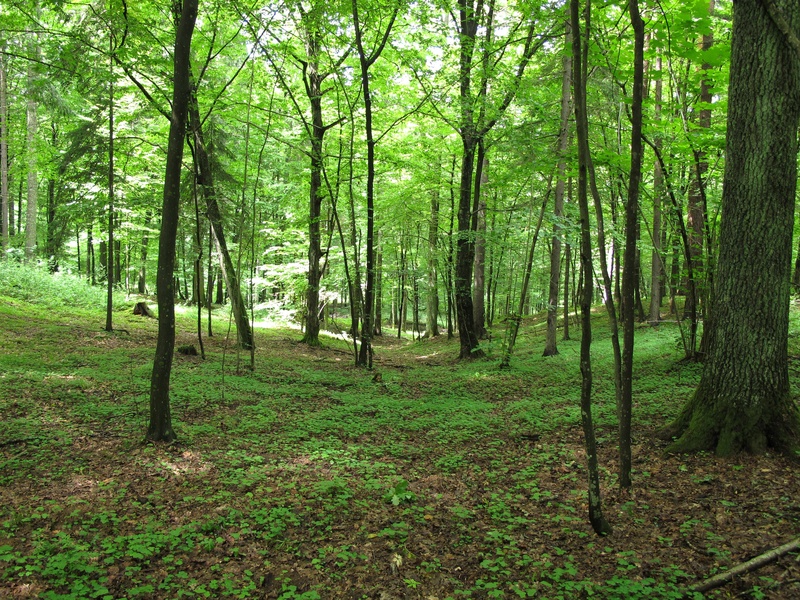 The Northern Poland Afforestation Offset Project is an ISO 14064-2 Validated Project to establish native mixed-species forests on disused agricultural lands in Northern Poland that have been free of forest cover for over 50 years. 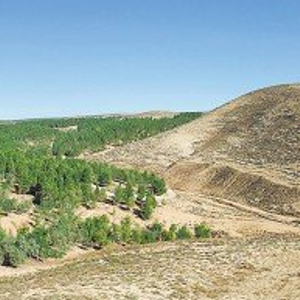 The project areas contain an aggregate 4,823 hectares of privately owned lands in post-agricultural, degraded conditions.The project activity consists of planting 24.2 million trees on 3600 hectares. This project is expected to increase carbon stocks through Biomass Growth and Soil Organic Carbon by approximately 10,730 tC per year over 40 years, equivalent to a total of approximately 429,000 tC. The expected annual CO2 removals resulting from this project are 37,500 tCO2e, equalling at total of approximately 1,500,000 tCO2e over the 40 year crediting period of the project. Co-benefits of this afforestation project include forest planting job creation, increased hydrological retention, enhanced biodiversity, and increased natural resiliency. 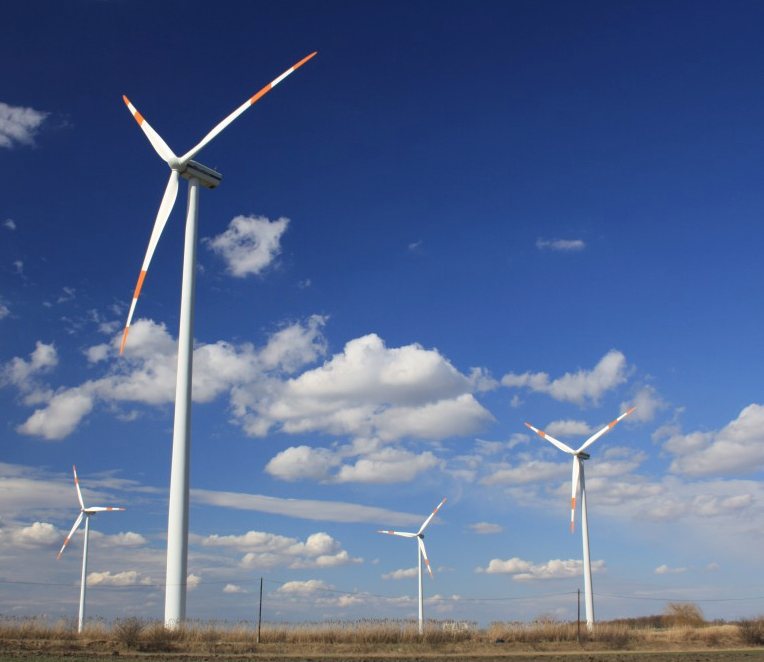 The Project Activity consists of the operation of five wind turbines and feeds clean energy to the Hungarian Electricity Grid. As a result, Thera II contributes to greenhouse gas emission reduction by reducing an estimated 18,000 tonnes of carbon, reducing the emissions of pollutants associated with the operation of fossil fuel thermal power plants (including SO2, NOx and dust in the baseline/business-as-usual scenario), and thus improving the local environment as well as Hungary’s sustainable development. This project captures coal mine gas from retired shafts 1 and 2 of the Lohberg Mine in Dinslaken. The captured methane is then utilized for the generation of energy totalling 8.148 MW. The power produced is then fed into the public power grid. The Henan Xinxiang 24MW Biomass based Cogeneration Project is located in Huixian County of Xinxiang City, Henan Province, China, and was implemented by Xinxiang Tianjie Bio-Power Generation Co., Ltd. The project consists of the installation of two 12MW cogeneration plants based on biomass residues; the generation of electricity with 126,709 MWh/yr supplied into Central China Power Grid; the generation of heat with 909,200GJ/yr; and the utilization of biomass residues for cogeneration of power and heat. 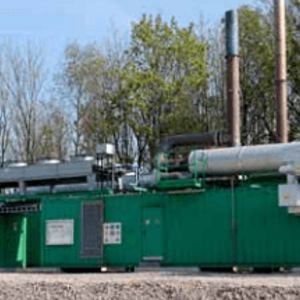 The project does not claim the emission reductions due to displacement of heat, therefore, this project will achieve GHG emissions reduction by displacing the equivalent electricity generated by CCPG with biomass residues fired cogeneration plant which has lower CO2 emission. In addition, CH4 emissions will be reduced by avoiding dumping of biomass residues. As a result, the project is estimated to achieve 123,858 tCO2e emission reductions annually. 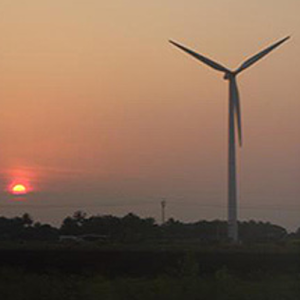 The project has been undertaken to harness the available wind power potential. The project has established 49 number of WTG aggregating to a total installed capacity of 38.275 MW. The project will generate approximately 89.92 million units of electricity per annum, which will be entirely sold to the State Electricity Boards or wheeled for captive consumption. The project will help in greenhouse gas emission reduction by using renewable energy resource for generating power which otherwise would have been generated using non-renewable, carbon intensive fuel common in the grid. The project is a green field project aimed at utilising wind energy to produce power. The implementation of project will achieve approximately 83,350 tCO2e emission reduction per annum by replacing grid based electricity which is predominantly generated by fossil fuel based thermal power plant in Southern Grid. Louroux Bio Energies Limited (LBEL) has implemented 25 MW solar photovoltaic technology based power project at Village-Sujangadh, Taluka-Muli in Surendranagar district in Gujarat. The electricity generated from the project activity is exported to the regional electricity grid and sold to the Gujarat State Electricity Utility (Gujarat Urja Vikas Nigam Limited) under a power purchase agreement. 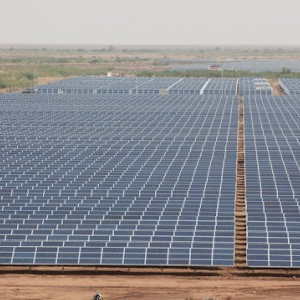 LBEL has decided to use thin film technology for its 25 MW Gujarat project. The purpose of Killik WEPP is to utilize wind energy potential in Turkey and to compensate energy requirement through a sustainable, environmentally and cost effective way. PEM Enerji A.Þ. (PEM) proposes to install Killik WPP with 40 MW installed capacity within the central district of Tokat. Killik WPP will have 16 turbines each having an output of 2.5 MW. Killik WPP will be connected via a 15 km transmission line to the 154 kV Gobel Transformer Station and the generated electricity will be supplied to Turkey’s national electricity grid. Located on Aruba’s east coast in the Dutch Caribbean, this wind farm consists of 10 turbines and has a total installed capacity of 30 MW. Wind Park ‘Vader Piet’ supplies 126,000 MWh of electricity to the national grid each year, displacing fossil fuel-generated energy and supporting the island’s transition towards renewable energy sources. 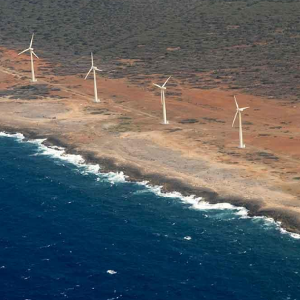 Vader Piet Wind Park harnesses the abundant wind resources of Aruba’s east coast to supply zero emissions energy to the grid. 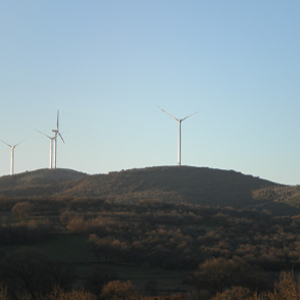 The project installed ten turbines, each with a 3 MW capacity, for a total installed capacity of 30 MW. The project contributes many benefits to both Aruba and the wider world. By reducing the need for imported fossil fuel-based electricity generation, it reduces Aruba’s dependence on foreign energy sources, thereby strengthening its energy security and self-sufficiency. The wind farm also increases regional employment opportunities, and further strengthens the local economy by attracting investment. This project reduces emissions of greenhouse gases by an estimated 152,783 tCO2e per year. When we reduce your fleet’s emissions we work with and invest in projects that have been certified to sequester CO2 from the atmosphere. We follow strict guidelines and protocols and retire certified carbon credits on a leading public registry. The Clean Advantage® program has partnered with The Arbor Day Foundation to plant 5,000 trees locally in addition calculating your fleet vehicle’s emissions and investing proportionately in projects that sequester CO2 from the atmosphere. Just one more way we go the extra mile. 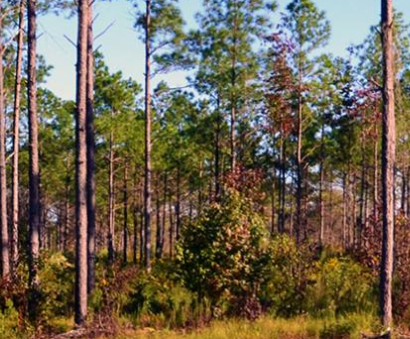 This project restores longleaf pine to 258 acres of Sandhills WMA Coleman tract, a recent acquisition in Taylor County, Georgia along Whitewater Creek. This tract was clearcut prior to purchase by the state. The sandy soils are highly erodible and are in desperate need of planting to stabilize the soils and stop erosion which is impacting Whitewater Creek, an important tributary to the Flint River. This tract was purchased to protect habitat for the gopher tortoise, a candidate for federal protection and a state threatened species.